This Girl Baby Doll from Perfectly Cute offers your little one an even littler friend. The sweet and simple baby doll comes with a cute outfit and pacifier and is a great way to teach your child valuable nurturing skills. Your little one will love naming the doll, carrying her around the house and tucking her into bed. Perfectly Cute Baby dolls and accessories are a perfect start for your little one's first baby doll collection. The baby dolls are sweet, soft and cuddly with adorable outfits and accessories that are sure to win the heart of your child. Nurture, care, love and cherish-and SO cute! Perfectly Cute dolls and accessories from JAKKS Pacific are perfect way to play! I have three daughters and one of the sweetest things is watching them all care for their babies. It's something I remember doing with my sisters and is a great way for sisters to make memories that will last a lifetime. 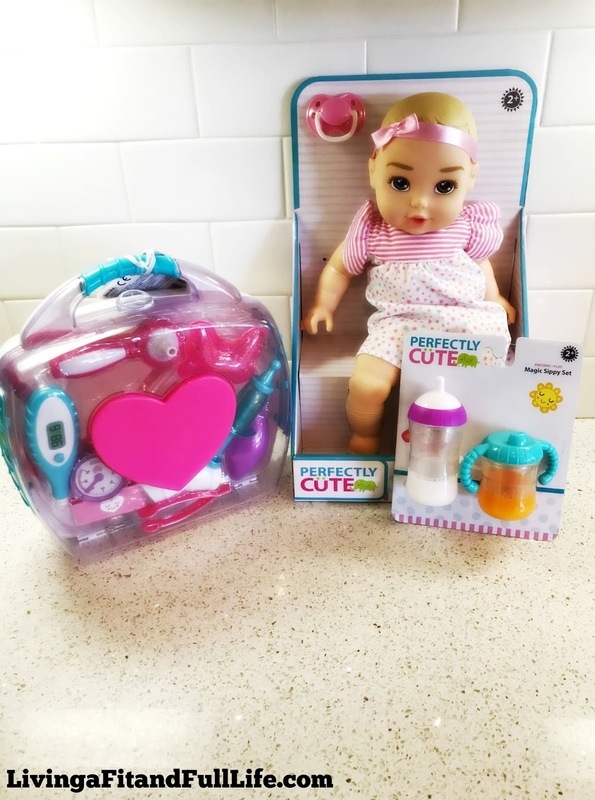 JAKKS Pacific Perfectly Cute dolls and accessories are absolutely perfect for pretend play and I love how well they're made. I also love how completely adorable they are as do my kiddos. JAKKS Pacific has a wide selection of Perfectly Cute dolls and accessories that make playtime a blast. Whether your little one's baby doll needs to take a nap, drink a bottle or see the doctor, JAKKS Pacific has the perfect accessory to help little one's care for their babies. Perfectly Cute dolls and accessories from JAKKS Pacific make playtime perfect!